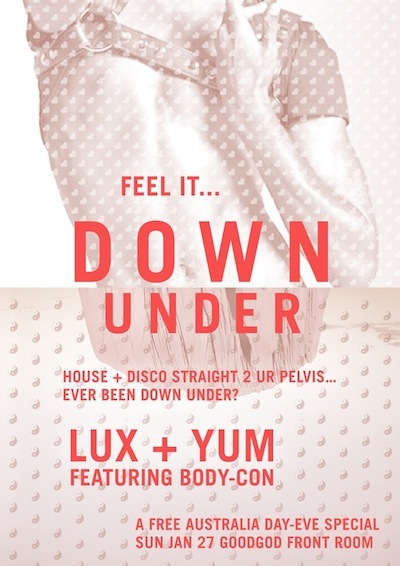 Lux + Yum wanna help you celebrate Australia Day in the right way – by getting sweaty & naked like the sailors in the First Fleet. Come land your ship in our port as we play the Sexiest, Funnest and Gayest of House & Disco. Body-con joins us as we go way Down Under. It’s free love baby, Sunday Jan 27.